Perfect for the witch- or wizard-in-training in your life, these Harry Potter inspired O.W.L. 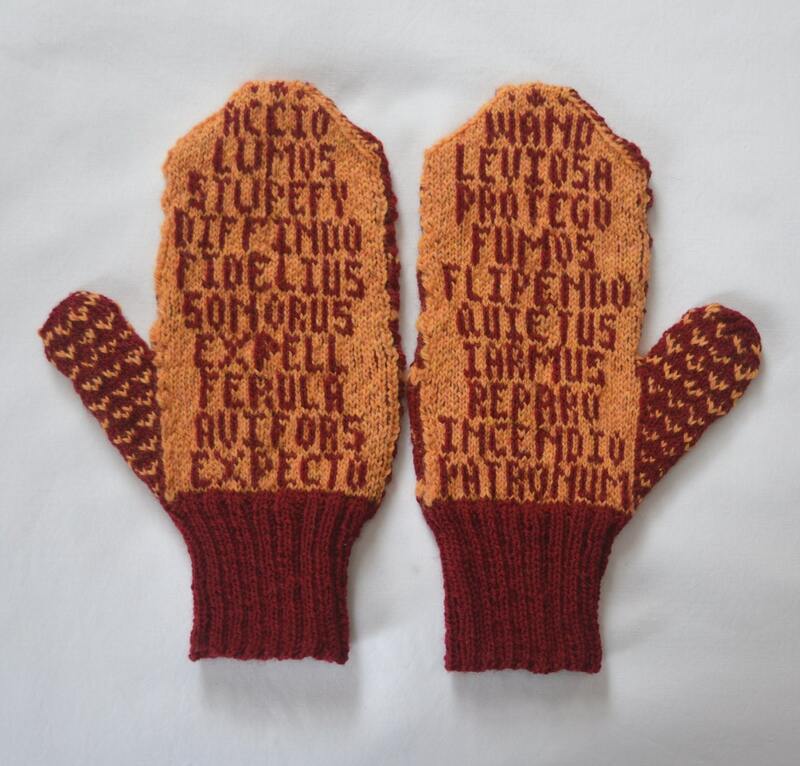 Mittens feature owls on the backs, and reminders of the spells they need to perform to get an "O" on their O.W.L.s! Gryffindor mittens are crimson and gold, Ravenclaw are blue and bronze, and Slytherin are green and silver. 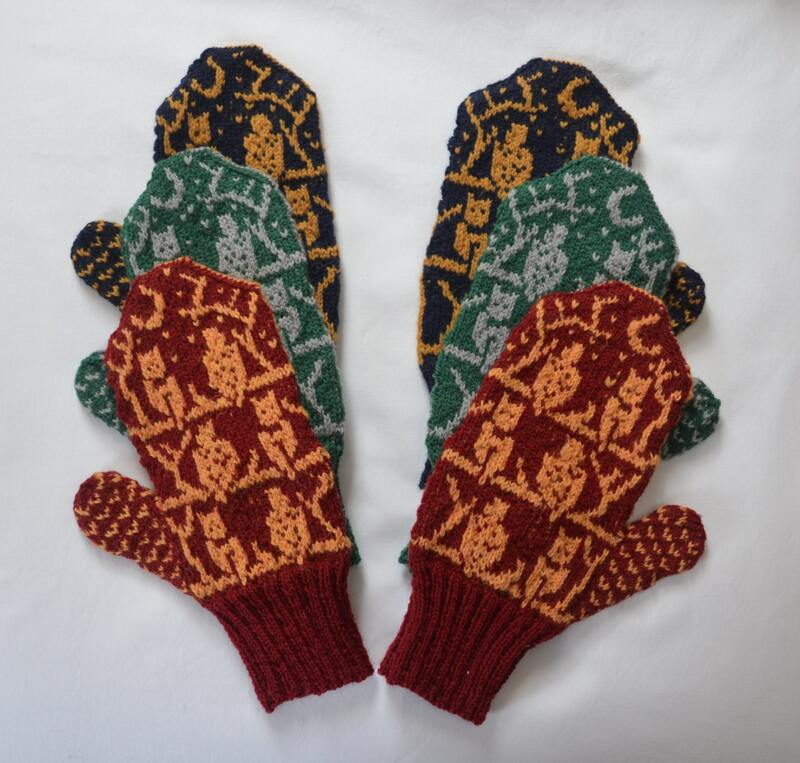 Made from 100% wool, these mittens should be hand washed in cold water and laid flat to dry. Each pair of mittens takes approximately 7-10 days to be knit. When I receive your order, I'll e-mail you to let you know how many orders are ahead of you, and when I expect to start knitting your mittens. Pattern by Celeste Young, used with permission of Interweave Publications.